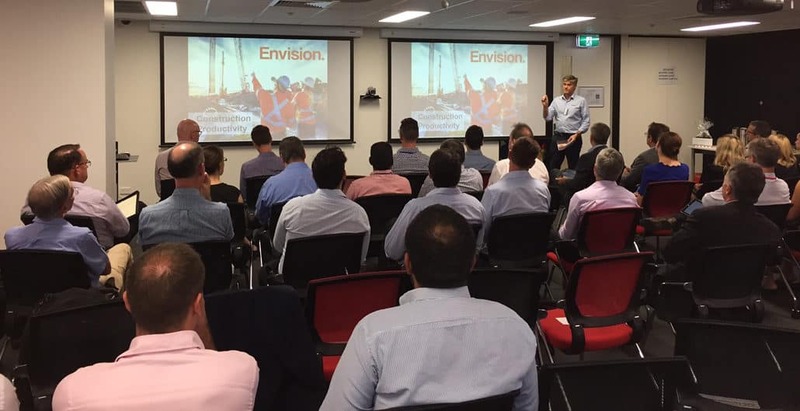 Envision was recently a guest industry presenter at the Queensland Government’s Talk IT Up – BIM Mini Expo – part of the Government’s spotlight on Building Information Modelling (BIM) in the delivery and management of infrastructure assets. The networking session came off the back of the Queensland Government’s commitment to implementing BIM on all major state infrastructure projects by 2023. Public consultation on the ‘Building Information Modelling – draft policy and principles for Queensland’ wrapped up last week, with the goal of ensuring the effective use of BIM across infrastructure delivery agencies. The final policy and principles are set for release later in 2017. BIM is known to offer vast benefits from design to construction to ongoing operations and maintenance and yet its potential is often unrealised on infrastructure projects. Talk IT Up gave industry and government stakeholders the opportunity to share challenges, learnings and emerging solutions in relation to BIM. With Envision having effectively integrated data from BIM software platforms such as iConstruct, there are strong case studies showing the value of further advancements in collaborative, integrated project management solutions. Growing recognition of the whole-of-life cost of infrastructure makes this all the more critical – enabling safer designs, more innovative and efficient delivery, and greater value-for-money for stakeholders. The Queensland Government’s focus on using BIM right across the lifecycle of infrastructure is a positive step forward and Envision is set to be at the forefront of project management software that supports its wider adoption.